How Can Enterprise Security Risk Management (ESRM) Help Your Security Program? Find out now with your FREE Chapter! Understand how Enterprise Security Risk Management (ESRM) can change the perception of security in your enterprise to help you better communicate the value of security risk management. See how ESRM is your best methodology to meet the changing global security risk climate. This complimentary chapter is excerpted from the breakthrough book, Enterprise Security Risk Management: Concepts and Applications, by Brian J. Allen, Esq., CISSP, CISM, CPP, CFE and Rachelle Loyear, MBCP, AFBCI, CISM, PMP. Click HERE to receive your free chapter! 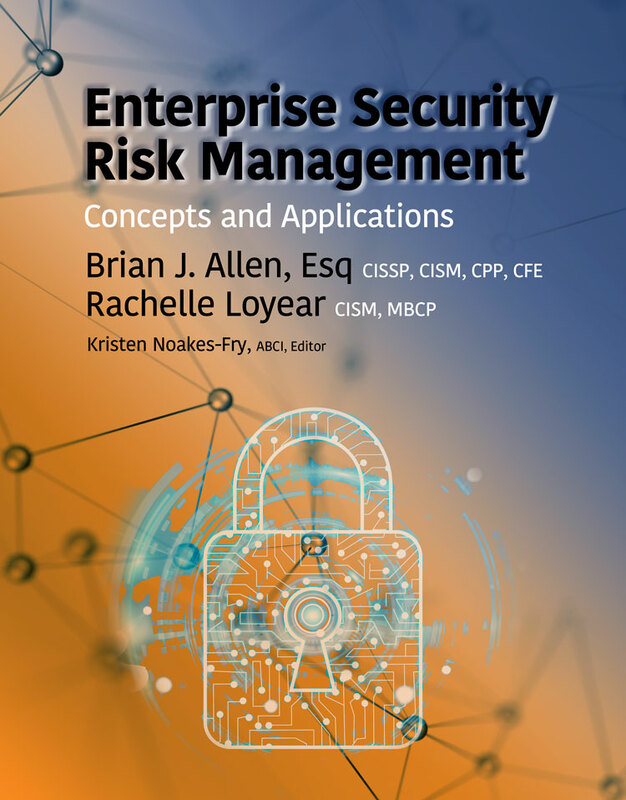 OR, learn more about Enterprise Security Risk Management: Concepts and Applications, by Brian J. Allen, Esq., CISSP, CISM, CPP, CFE and Rachelle Loyear, MBCP, AFBCI, CISM, PMP.